Many horse trainers, even those who claim to follow the so-called natural horsemanship approach, take the position that horses that fail to obey a human's request are doing so as much out of perversity as ignorance. That's not Mark Rashid's view. In his words, "If we understand that horses can't separate the way they feel from the way they act, then we can start to see that unwanted behavior isn't bad behavior at all. More times than not it's just the horse expressing the way he feels at that particular moment in time." Whole Heart, Whole Horse focuses on this idea, covering such subjects as gathering information from the horse; turning rider/trainer mistakes into positive experiences; developing realistic boundaries between you and your horse; understanding how and why horses release energy from real or perceived traumas; and reaching a comfortable balance point between horse and rider. Rashid analyzes developing softness, consistency, dependability, trust, and peace of mind in both horses and humans, as well as how to become a leader whom your horse will willingly want to follow and work with. 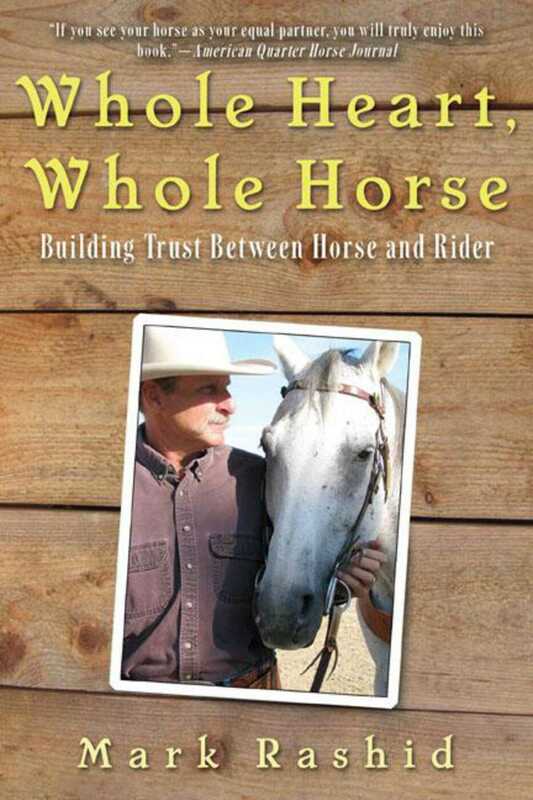 Full of examples that extend beyond the training pen, Whole Heart, Whole Horse offers good sense and information that will make you a more astute, capable, and sensitive horseman or horsewoman—and human being.